With a focus on environmentally conscious design, my passion lies in providing clients with homes that are not only energy efficient but also healthy and comfortable to live in all year round. Wherever possible, I design in such a way that building waste is minimised and complex structure is avoided, thus limiting the environmental impact of construction and reducing build costs. 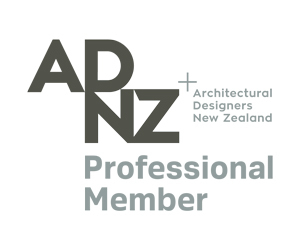 I have a Diploma in Architectural Technology and have been engaged in architectural design and drafting since 2000. I came to architectural design from a building trade background, providing me with valuable practical experience. Using Archicad software, I model the building in 3D from an early stage, giving clients the opportunity, through perspective views or fly-through models, to see what their new home or renovation will look like during fine-tuning of the concept design. This reduces time-consuming changes later when the plans are more fully developed, or have been granted building consent. I work from a home office in an extensively upgraded ex-state house that provides prospective clients with a working example of the benefits of eco features such as passive solar design, high levels of insulation, solar panels, rain-water tanks and re-use of salvaged materials. An official Homestar assessment rated the house at 7, up from 2 for the original state house. By comparison, houses built to the current building code generally score 4 or 5.